And here are the final images! Just in case any of you were wondering, this is what the bricks and mortar shop looks like. Get ready for a guided tour! We share our space at Of Cabbages & Kings with Knit with attitude, specialists in eco-friendly and fairtrade yarn, hence all the beautiful brightly coloured wool to the right. 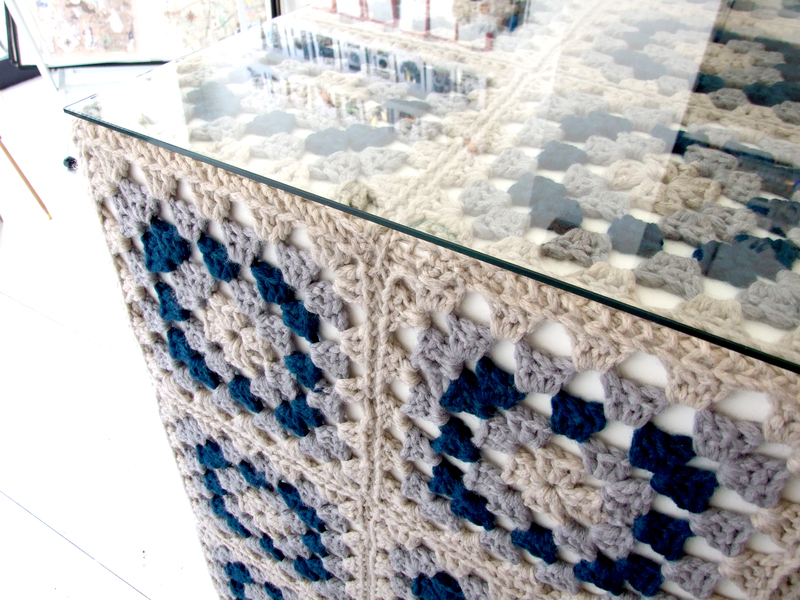 This is another photo of the crocheted granny square counter that Maya and I spent so many hours constructing. 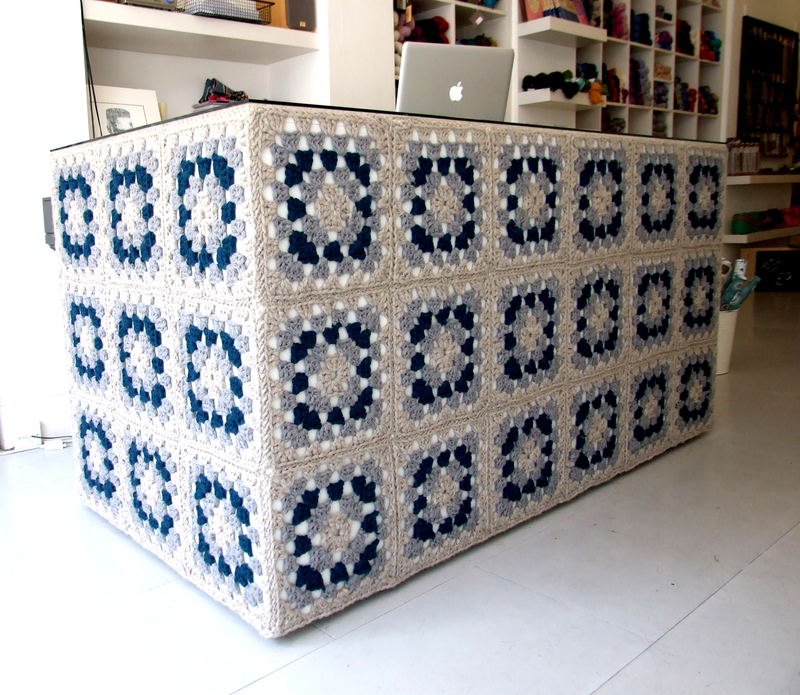 Our ‘floating box’.